After leaving university, Annie Lyons decided that she 'rather liked books' and got a job as a bookseller on Charing Cross Road, London. Two years later she left the retail world and continued rather liking books during an eleven-year career in publishing. 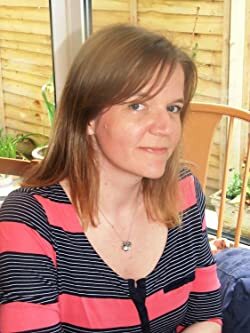 Following redundancy in 2009 she realised that she would rather like to write books and having undertaken a creative writing course, lots of reading and a bit of practice she produced Not Quite Perfect. She now realises that she loves writing as much as coffee, not as much as her children and a bit more than gardening. She has since written another novel and is currently working on her third. She lives in a house in south-east London with her husband and two children. The garden is somewhat overgrown. One day she hopes to own a chocolate-brown Labrador named John and learn to dance the American Smooth. Please enter your email address and click the Follow button to follow Annie Lyons!